The growing momentum of the campaign to raise the minimum wage to $15 per hour presents those of us who are farming with a serious challenge. Most of us pay significantly less than that to our farmworkers. Many of us do not even earn $15 an hour ourselves, as owner-workers. The minimum wage campaign was successful in a few cities at first, notably achieving various phased-in raises culminating in $15 per hour a few years hence in the municipalities of Seattle, New York, Buffalo, Syracuse, Los Angeles, San Francisco and Portland. 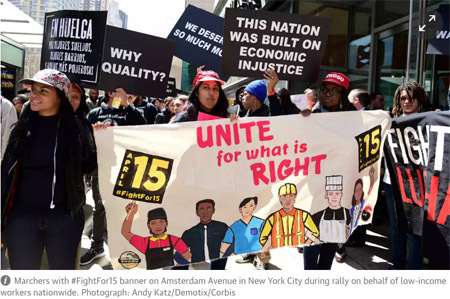 Last year the states of New York and California joined the march to $15, with thirty more plus Washington DC raising their minimum wages significantly. The city raises were often targeted at restaurant and food service workers, having little impact on farms. The state raises, however, are a different story. 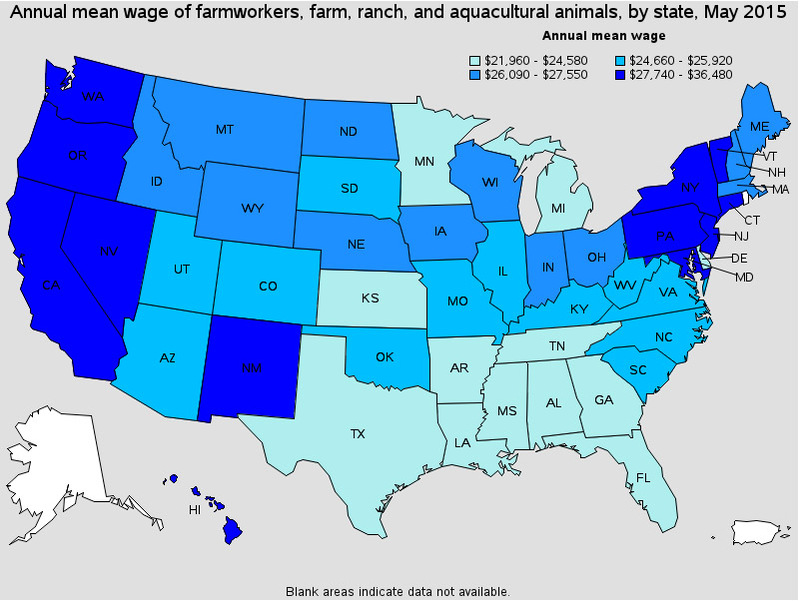 In some states agricultural workers are not exempt from state minimums, in others they are but the reality of all other traditionally low wage work escalating to $15 an hour in a few years may make workers reluctant to take jobs on farms which pay so much less. [Read more…] about Is $15/hour a Living Wage? Can We Support It? “This will wreck farming in NYS!” that is the New York Farm Bureau knee jerk reaction to any hint at raising wages or otherwise improving conditions for farm workers. Is the Farm Bureau right and do organic farmers agree? As I see it, there are a lot of things in our power to change on our farms and policies that the NOFAs can champion in our states and together on the federal level. 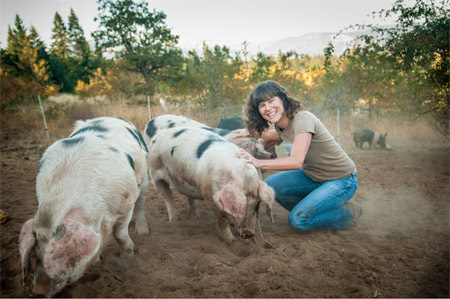 For this article I have gleaned ideas from organic farmers and from programs that champion farmer and worker justice. Please help us prove the NYFB wrong by contributing your own ideas! During the New Deal Era, President Roosevelt struck a bargain with Southern Democrats: they would support worker rights legislation so long as their farmworkers (and other predominantly African-American workers, such as domestic workers) were exempt. Thus, Congress excluded farmworkers from the National Labor Relations Act of 1935 (NLRA), the main federal law that protects workers who join and organize labor unions, and from the federal minimum wage and overtime protections in the Fair Labor Standards Act of 1938 (farmworker children were also excluded from the child labor protections during times when they were not legally required to be in school). Not until 1966 did Congress require employers to pay farmworkers the federal minimum wage. To this day, farmworkers remain excluded from federal overtime requirements, the NLRA, many states’ workers’ compensation laws, and many occupational health and safety protections. The protections for child farmworkers are also weaker than the child labor protections in all other industries. The labor law exclusions result in farmworker wages being among the lowest in the country: poverty among farmworkers is roughly double that of all wage and salary employees. Additionally, farm work consistently ranks as one of the most dangerous occupations, yet only 31% of farmworkers have health insurance. Greg Swartz and his wife Tannis Kowalchuk, holding Simon Kowalchuk Swartz, stand in front of farm sign. 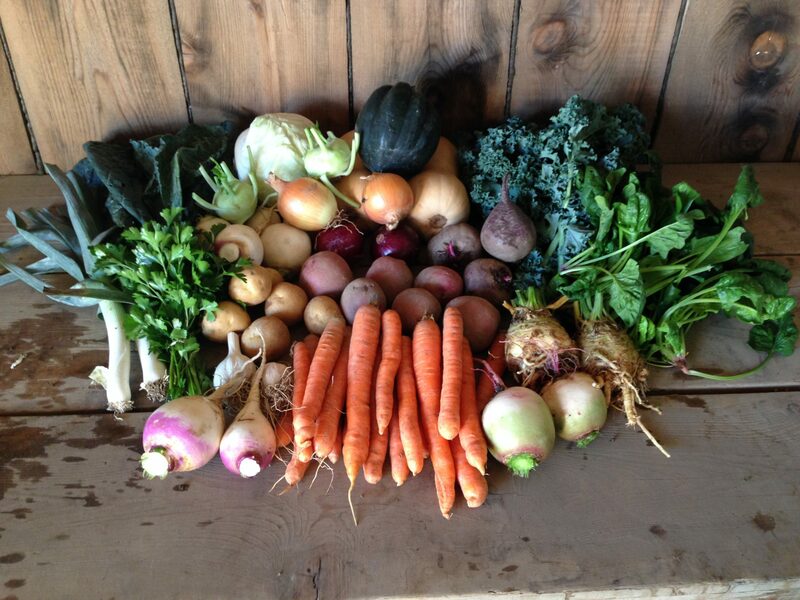 Organic Farmer Greg Swartz has gone to the extraordinary measure of moving his entire farm so that he can fulfill his farm goals which include paying living wages to everyone who works there. This year, Willow Wisp will be starting to farm the newly purchased ground where in a few years, they will be able to quadruple their previous production. 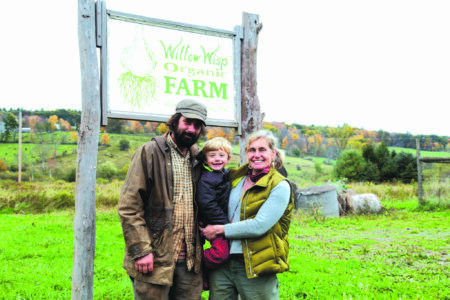 Greg started Willow Wisp Organic Farm in 2007 on 12 acres on the Delaware River in Damascus, PA, 120 miles northwest of New York City and across the river from Sullivan County, NY. This is a rural area within driving distance of some of the highest end markets in the country. 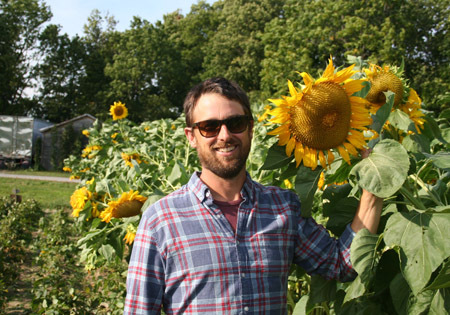 After ten years of apprenticing and working for other farmers, as well as a brief spell as Executive Director of NOFA-NY, Greg set out on his own to grow fresh market organic produce. He focused on direct sales, establishing markets at the Union Square Greenmarket, the Grand Army Plaza Greenmarket, two more local farmers’ markets and a de-livery route to restaurants and independent groceries. The rapid growth of the “Fight for $15” minimum wage movement and President Barack Obama’s changes to overtime regulations have sparked new rounds of debate over the economic consequences of an increased overtime pay threshold and a higher minimum wage. Advocates of overtime and wage hikes argue these policies protect workers from exploitation and improve job quality. Opponents insist these regulations will hurt workers in the long run, as they will inflict a burden on companies that will be forced to cut jobs. These concerns are nothing new—this debate dates back to the early 20th century, before the minimum wage even existed in the United States and when overtime pay was unheard of. At the end of the 19th century, economists preached that markets, if left to their own devices, would function at equilibrium levels with the best possible dis-tribution of resources. Rapid industrialization created the Gilded Age of American wealth, and people credited the free market with their increased prosperi-ty. But along with increasing growth, industrialization also sharpened economic inequalities and made certain groups particularly vulnerable to exploitation. Debates over hour and wage limits focused on which groups required labor protections and the best mechanisms for protecting these groups. [Read more…] about How Was the Minimum Wage Created? As the organic market expands, the cost to consumers is slowly but steadily dropping, making organic food somewhat more accessible to more people. This has been good news for wholesalers, processors and retailers. For farmers—and farm workers—not as much. Why hasn’t the expansion of the organic food industry translated into higher wages and farm gate prices? The simple answer is because organic farming is at the wrong end of the value chain. But that is true for all farmers. What puts organic farming at a disadvantage is, in an organic nutshell, capitalism. The high retail price of organic food frustrates farmers and consumers alike. Reasons given for the price difference between organic and conventional food–for some crops up to 300 percent–revolve around factors like low supply and high demand, greater labor input and postharvest handling, inefficient distribution chains and disadvantages in economy of scale.